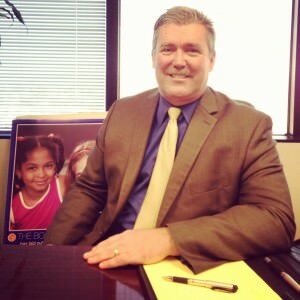 Not many people would recognize David Holmquist, general counsel for the LA Unified School District (pictured below). But Holmquist serves as an important role, overseeing all labor negotiations, and representing the district in over 1,000 lawsuits – including attempts by LAUSD to recover overpayment from 600 employees and dismiss more than 120 teachers. We spoke last Wednesday in his office on the 24th floor of LAUSD headquarters about what actions LAUSD is preparing to take unilaterally if the teacher evaluation negotiations with UTLA remain unresolved, the recent LA Times lawsuit, his role in the Ramon Cortines sexual assault allegations, the ongoing legal fallout from the Miramonte scandal, and LAUSD’s version of the infamous New York City “rubber rooms” where teachers are housed while investigations against them are pending. LA School Report: What exactly do you do? David Holmquist: I serve the Board of Education and also the Superintendent. We provide advice to all district employees that need it. Probably the number one issue that comes up at the schools is, someone shows up with a piece of paper and they tell the principal, “I wanna take Johnny out of class and this document allows me to do so.” And so the school will call us and say, “What’s up with this? Do I release the child into this person’s custody?” We get kind of a lot of questions about that. And we have about 1,000 lawsuits at any given time that we are either a plaintiff or defendant in. LASR: A thousand lawsuits — that’s so many. What is the typical lawsuit? DH: I would say in probably about 65 percent of them, we are the plaintiff and we are actually going after former employees, retirees and others on overpayments. They were, as a result of some computer problems and payroll problems we’ve had over the years, overpaid. The next largest group is the teacher dismissals, where our board has voted to initiate a dismissal process for teachers. And so we have to go through a rather protracted process in order to actually terminate their employment. LASR: About how many teachers right now are in that process? DH: About 120 are in that process now. LASR: And all those teachers are still getting paid by the district? DH: I would say about 60 percent of the 120 are unpaid. And that has been a change, an interpretation that our office has done in terms of the actual charges being brought. In the past, we have typically interpreted the charges as being such that a teacher does in fact need to be on paid status. LASR: Is there an LA equivalent of the “rubber room” from New York City? DH: It’s not exactly equivalent, but yes, we have places where we keep housed employees. They are at each of the local district offices, and then we have one centrally. Some employees, actually an increasingly large number are housed at home. LASR: How many teachers are like that? DH: We have 278 on the list, of which 120 of those are in the dismissal process. We have about 150 more on top of that in various stages of that dismissal process. The majority of those are in that situation because law enforcement is still conducting the investigations. There also may be charges filed with the district attorney’s office, and we don’t want to compromise a criminal investigation. LASR: What can you tell me about the negotiations with UTLA over the Doe v. Deasy lawsuit? DH: I think you probably know that we’ve gone to impasse. It was about two weeks ago. So we’ve had one session with the mediator, and another one is scheduled. It’s our view that we’re not required to collectively bargain this agreement. But in the interest of trying to come up with something that teachers and the teachers union can live with, we have been engaged in conversations with them. LASR: What is your sense of how these negotiations are going? Are the two sides coming closer together? DH: Well we’re certainly closer than we were when we started. I am optimistic that an agreement will be reached, but if we need to go through fact-finding and, unfortunately, if we have to unilaterally impose [a new evaluation process] in order to comply with the judge’s order, then so be it. LASR: So in the event that the negotiations don’t work and you guys just write your own plan, do you have that plan written already? DH: Oh yes. We’ve given them an offer of how we would do this, and we’ve certainly gone back and forth. And we, in good faith, have moved off our original position in order to get something that we think makes sense for students and also complies with the judge’s order. And if we have to go to unilateral implementation – hopefully not, but if we do, then we’ll be prepared to execute that. LASR: The LA Times is suing you guys. Is the dispute over the names, is that what it is? They have the data and they want the names? DH: That’s pretty much it. And so we feel that, given the Doe vs. Deasy litigation, that this is not something that we can properly turn over to the LA Times. LASR: I don’t understand why Doe vs. Deasy has anything to do with it. DH: It’s part of ongoing litigation, and more than that, I really can’t say. LASR: Are you guys saying it’s a privacy issue? DH: Certainly had we negotiated with UTLA that this information was in fact part of an employee’s evaluation, then the line would be very clear that we would not turn it over. And we are currently negotiating over that very issue with UTLA. LASR: So in that respect, you would assume that UTLA wouldn’t want you to turn over the names to the LA Times. DH: You would of course have to talk to them, but I would well imagine that they would want to respect their members’ privacy. Certainly UTLA has been invited to participate in this litigation if they wanted to express a view that the court should consider. To date, they have not. But they might be wise to do so. LASR: What is going on with Miramonte? DH: Well, we are slowly but surely trying to resolve these claims in a way that will help to restore some confidence in the community. We’ve set up a mediation process that we think respects what the community needs, what the students need. I can’t talk a lot about that right now. LASR: You’re saying that you hope to reach a settlement. DH: Right. We got just short of 200 claims and lawsuits that were filed against us. The majority of them are claims. I think we have 3 lawsuits and the rest are all claims. LASR: I wanted to talk about the Scot Graham lawsuit. He’s made some allegations, one of which involves you personally, that you told him, “Why don’t you just forget about this,” or something like that. Do you want to comment on that? DH: Actually I do. I will tell you that I met with Scot Graham. It was part of my investigation that caused me to speak to Mr. Graham, not because he came to me independently. He begged me not to divulge any of this information. He said he would withdraw his complaint – he never filed a complaint. And our policy says we will respect the confidentially of those who come forward, and we don’t bring things forward that would compromise their confidentiality. So I did what our policy requires and what I thought was the right thing to do under the circumstances. I’m glad that you’re asking me about that, because that hasn’t been out there yet. LASR: Just to reiterate, you did not tell him to forget about his accusations against Cortines? DH: He told me he wanted to forget about it. He told me that he was seeing a therapist and he had spoken to his husband, and that everything was OK, and he did not want to pursue this. He told me it was a private matter between he and his friend [former LAUSD Superintendent] Ray Cortines. LASR: Did you think that was odd at the time? DH: No, I believed him. I had no reason not to believe him. I don’t know what circumstances changed for him, that caused him to change his mind, but that was what he told me.